It's a material we use in commercial kitchens that is actually made up of several different elements, each with its own purpose – kind of like ingredients in a recipe. Just like some restaurants will only source the freshest, highest quality ingredients, some foodservice equipment manufacturers will only use the best grades of stainless steel. But more on that in a minute. In order to understand what those different grades are and what they mean, we have to start with the basic ingredients of stainless steel. IRON – Iron is strong, but it's corrosive. It makes up about 75 percent of stainless steel. CHROMIUM – Very non-corrosive, to be called "stainless," stainless steel must include a minimum of 11 percent chromium. NICKEL – Nickel is softer and provides some corrosion resistance. It makes metal easier to form and adds luster. MANGANESE – This element binds steel alloys together, reducing the potential for brittleness and cracking. COPPER – Copper is soft, but it also is a great conductor of heat and electricity. It can also replace nickel, making metals easier to form. CARBON – Lastly, we have carbon. It is strong and corrosive. As such, it's mainly used for strength. Now that we've gone through the periodic table, let's take a closer look at the different grades of stainless steel. There are over 150 different types of stainless steel, but only four of those types are best suited for the world of foodservice equipment. The reality is, many of the elements listed above have become more and more expensive over the years, so it's important for operators to understand what type of equipment they're buying, and more specific, what grade of stainless steel is used. 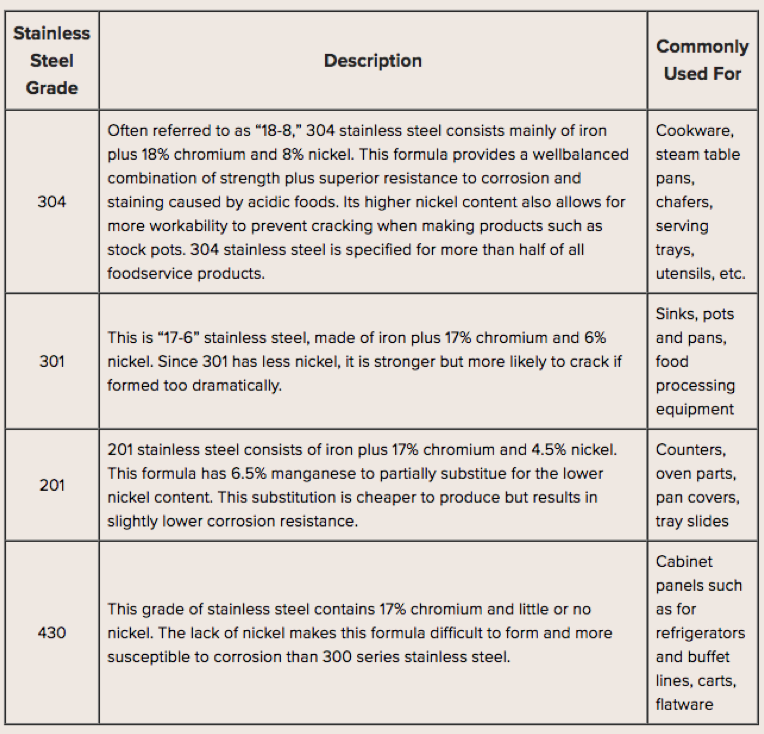 Here are the four most common grades of stainless steel in the foodservice industry. 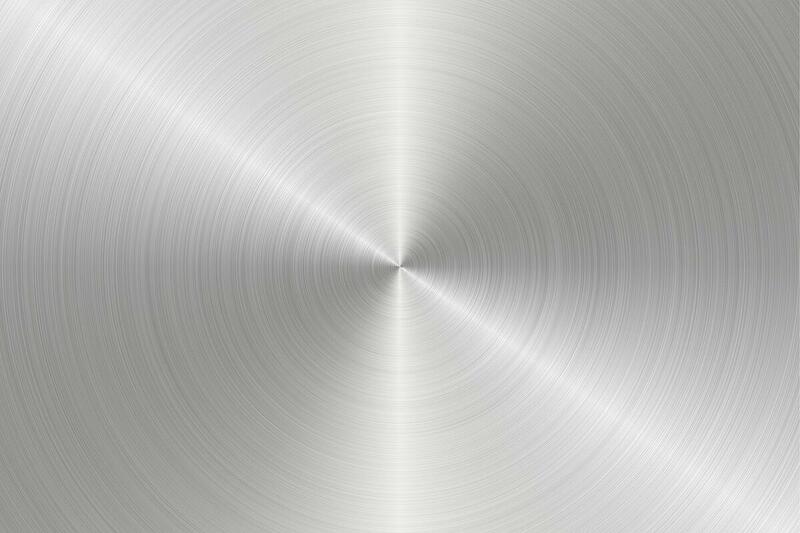 Looking for more information about stainless steel? Stay tuned for part two of these series as we delve into the applications of stainless steel, or schedule some time to talk with one of our foodservice equipment characters, who can walk you through more of the basics.